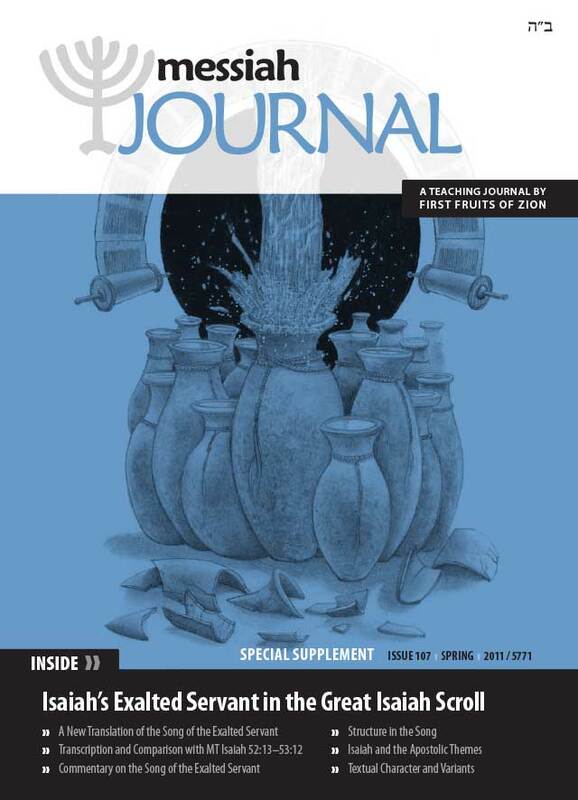 In this special supplement to issue 107 we focus on "The Exalted Servant in the Great Isaiah Scroll." The crown jewel of the issue is an important new translation of Isaiah 53 based upon the Dead Sea Scroll version of Isaiah. The Great Isaiah Scroll has a few small variants, some of which are significant enough to completely change the reading of the text. We asked Steven Lancaster and Jim Monson of Biblical Backgrounds if they might offer us a new translation of the passage based upon that Dead Sea Scroll reading. That proposal quickly mushroomed into a series of articles. Lancaster and Monson offer a transcription of the passage as it appears in the Great Isaiah Scroll (1QIsaa 44:1-22), a discussion about how it varies from the regular Masoretic Text (MT), a translation to English, a discussion of the translation, a discussion of the structure of the oracle, and an exploration of how the prophecy shaped the writings of the apostles.